The Pioneer Farm (or Wallace Farm) is another great historic site that sits in the vast farming fields of the Columbia Connecticut River Valley. 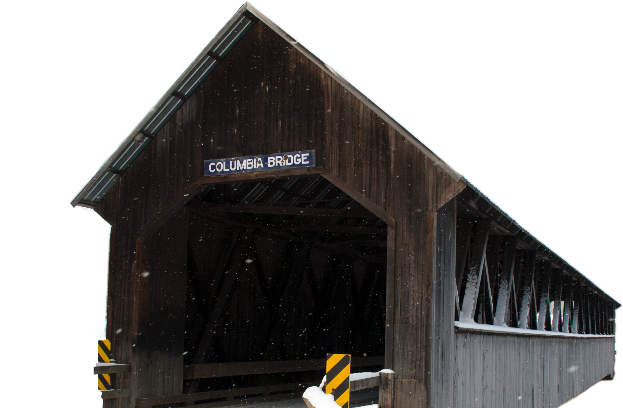 Located right off of NH Route 3, a few miles south of the town line, it can be easily viewed on a drive through Columbia. It is well over 200 years old and is still in beautiful condition. The Pioneer Farm is privately operated and, amazingly enough, still owned by the same family who built it. The farmhouse was added to the National Register of Historic Places in 2001 and is now a site protected by the State of New Hampshire. On Route 3 in Columbia, 3 miles south of town line, look for the Wallace Rd turn off.